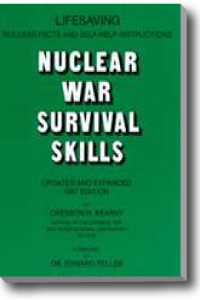 Nuclear War Survival Skills is the best book for ANY disaster. This incredible book is for the protection of yourself and family using resources you already have. Radiation is as easy to avoid as a mosquito *IF* you understand it. 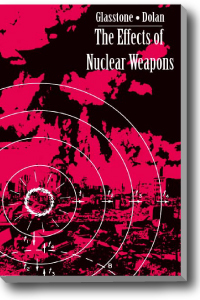 This book educates you on radiation and shows you how to build multiple types of radiation shelters with stuff around your house and yard. Make a radiation meter from a tin can, seriously! Food, water, clothing, light, shelter, medicine—everything is covered. Click on MORE INFO for all of the details. Every American home should have this life-saving book. 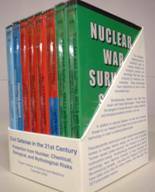 Over 16 Hours of Video, See Home Shelters Constructed, Civil Defense and more. Click More Info for the incredible details of this package, what was over $1000 in video on VHS is now only $149.95. A treasure trove, all of the details of the book above is shown; making in ground shelters, above ground shelters, making a soup can fall out meter, water filtration, all done by the author AND ordinary people. Step by step, explicit and simple. 4 hours of never before seen video of Fire / EMS / Police / SWAT / HAZMAT and other rescue personnel responding to a mock Weapons of Mass Destruction (WMD) event. This is chaptered, titled, indexed and detailed. This video is for training of emergency personnel. It is the closest thing to being there. Rare INSIDE camera access made this possible. Over 4 Hours of Video, Titled, Indexed, Labeled, Incredible Training Tool.